These originals were produced for books, magazines, who knows what else and they're now up for grabs. When it's time to let go - let go with style. Any questions be sure to contact me. Click the convenient Buy Now button and securely purchase via PayPal with your major credit card or debit card. NOTE: funds will be drawn from your credit/debit card account - not your PayPal account. The original illustration created by Wayne Snyder for his book "The Golden Age - Edition 3". 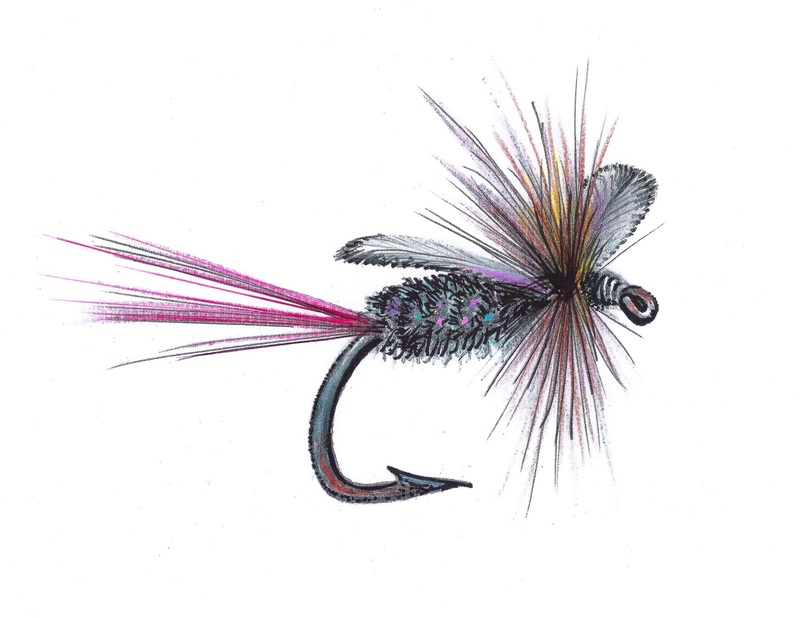 ​Grayling area guide John Stephan created the Cabin Coachman around 1934 on the banks of the Au Sable South Branch. Mixed media (colored pencil, ink, chalk pencil). Signed. On standard 8.5" X 11" paper. Only one available. Price includes shipping. Please allow 2-3 weeks for delivery. 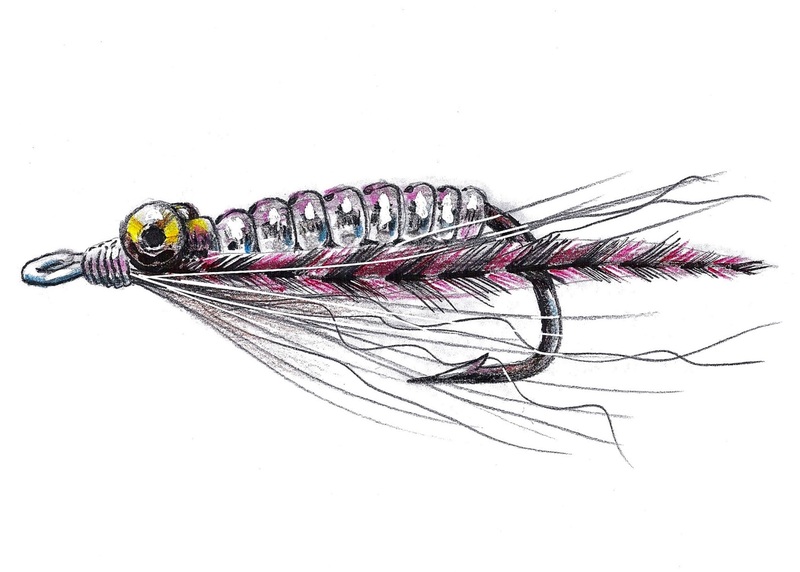 ​The original illustration created by Wayne Snyder for his book "River Gypsy - Volume 3". 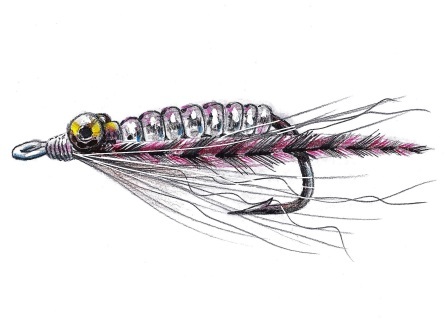 ​ The Crystal Charlie is an old Florida favorite bonefish fly. Mixed media (colored pencil, ink, chalk pencil) on standard 8.5" X 11" paper. Signed. Only one available. Price includes shipping. Please allow 2-3 weeks for delivery. The original illustration created by Wayne Snyder for his book "The Golden Age - Edition 2". The Mershon is a classic wet fly named for lumber baron William B. Mershon. Mixed media (colored pencil, ink, chalk pencil). Signed. On standard 8.5" X 11" paper and is three-hole punched. Only one available. Price includes shipping. Please allow 2-3 weeks for delivery. The original illustration created by Wayne Snyder for his book "The Golden Age - Edition 2". 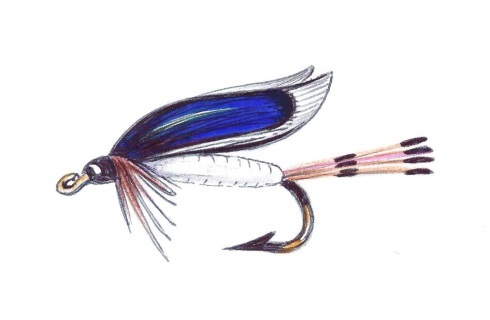 Borcher's Drake was created by Grayling, Michigan river guide and fly tyer Ernie Borcher. ​Mixed media (colored pencil, ink, chalk pencil). On standard 8.5" X 11" paper and is three-hole punched. Only one available. Price includes shipping. Please allow 2-3 weeks for delivery.